UPDATED: Mon., July 16, 2018, 12:54 p.m.
Congress is expected to renew the so-called “farm bill” by the end of September, but lawmakers will have to reconcile some stark differences between the House and Senate versions of the sweeping legislation that governs an array of agriculture and food assistance programs. While the Senate plan would maintain the status quo in many areas, the House proposal would overhaul conservation programs that help farmers and landowners improve soil, air and water quality. 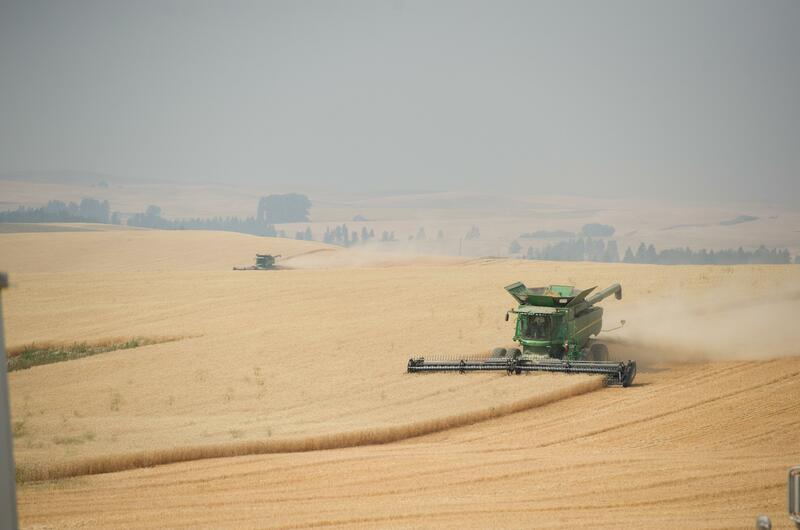 The House proposal would combine two conservation programs, an idea opposed by the Washington Association of Wheat Growers. But supporters of the House plan, including Rep. Cathy McMorris Rodgers, R-Spokane, say it would combine the best features of two programs that encourage conservation efforts through a mix of financial and technical assistance. “The House Farm Bill consolidates conservation programs by combining the best parts of the Conservation Stewardship Program and the Environmental Quality Incentives Program, both of which currently fund the application of conservation efforts,” Jared Powell, a spokesman for McMorris Rodgers, said in an email. “By combining these two programs and eliminating duplicative processes, we are able to allow for other programs without baseline funding to continue and increase, like the Market Access Program, one of the congresswoman’s top three priorities in the Farm Bill,” Powell added. But some farming and environmental groups argue the bill would effectively eliminate the 16-year-old Conservation Stewardship Program, which is geared toward crop producers, and impose limitations on the Environmental Quality Incentives Program, which is largely focused on livestock ranching. Both programs are used for farmland that is currently in production, unlike the Conservation Reserve Program, which pays farmers to keep fields fallow for rehabilitation purposes. McMorris Rodgers’ Democratic challenger, Lisa Brown, said she prefers the Senate bill because it would provide more resources to conservation efforts, agriculture research and food programs like the Supplemental Nutrition Assistance Program – which, under the House proposal, would require some adults to work or participate in a work training program for 20 hours a week to receive benefits. Brown said she also prefers the Senate bill because it has bipartisan support, unlike the House version, which passed 213-211 with no Democratic votes. “I think this is the first farm bill that they’ve passed on a totally partisan basis,” she said. Nicole Berg, a Benton County farmer who serves as secretary of the National Association of Wheat Growers, said that compared to EQIP, the CSP offers “more of a whole-farm, comprehensive plan” that encourages the use of direct seeding or “no-till” farming to prevent soil erosion. “Sometimes when we merge programs, or we lose tools in our toolbox, it’s hard for farmers to sign up to address resource concerns,” Berg said. Michelle Hennings, a Ritzville farmer and the director of the Washington Association of Wheat Growers, said her organization also supports preserving the CSP as a standalone program. Lawmakers and environmental groups have offered different perspectives on the potential spending impact of the House bill. An analysis by the nonpartisan Congressional Budget Office found the bill would reduce total conservation spending by $795 million over 10 years. The National Sustainable Agriculture Coalition notes that over 10 years, the bill would cut more than $12.6 billion from the CSP and add nearly $7.7 billion to EQIP, for a net loss of nearly $5 billion on the two “working lands” programs. But Powell, the spokesman for McMorris Rodgers, noted that the bill only authorizes spending over five years. According to the Congressional Budget Office, the bill would increase total conservation spending by about $655 million during that time, although spending would dip below the CBO’s baseline estimate in 2023, after the U.S. Department of Agriculture finishes making farm payments that have already been scheduled. Published: July 14, 2018, 4 a.m. Updated: July 16, 2018, 12:54 p.m.